Brassy mariachi music and vibrant piñatas, big tubs of guacamole and salsa, carne asada marinating in citrus juice and chicken smoking on the grill. Sound like a Sunday afternoon fiesta? 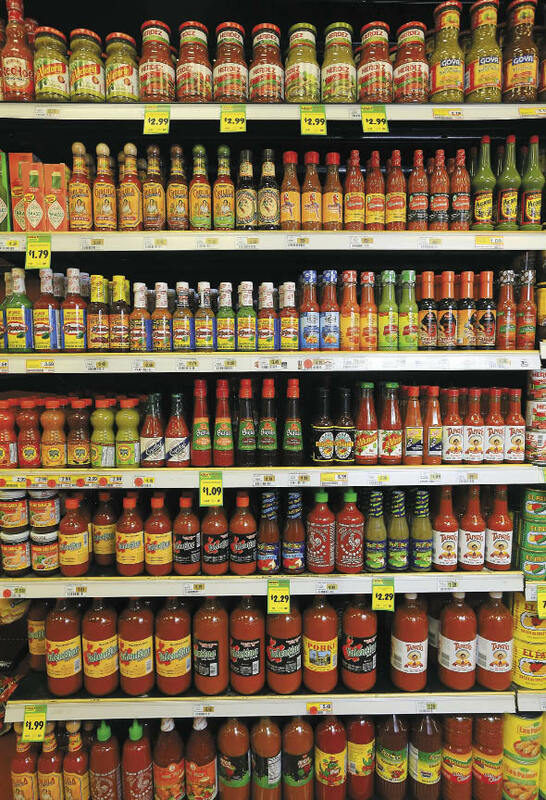 Actually, it’s the everyday shopping experience at Mexican markets all over the region, from traditional neighborhood tiendas including El Brinquito Market & Meat in Sonoma to large Latino supermarkets such as Rancho Mendoza in Santa Rosa. They offer a wide range of products, from marinated beef and chicken to more specialized items such as dried chiles, tres leches cakes and frozen, tropical fruits from Central America. At Castañeda’s Marketplace in Windsor, shoppers are greeted by colorful, hand-painted murals alongside mounds of fresh produce and unusual herbs including fresh epazote and yerba santa (also known as mountain balm and sacred weed). Once a shopping destination largely for Latinos, local Mexican markets now appeal to a wide range of cooks seeking exotic ingredients to spice up their dishes. In the La Cocina taqueria at the rear of the market, Castañeda serves paella dinners at 5 and 7 p.m. every Saturday, which include tapas, salad, sangria and dessert. The former high-tech salesman also serves a free breakfast for veterans on Saturdays. 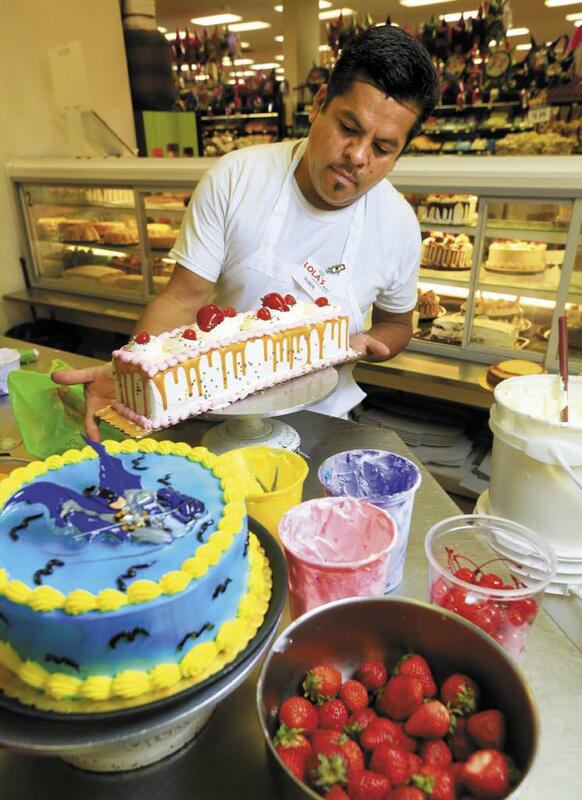 Ruben Altamirano decorates a tres leches cake at Lola’s Market in Santa Rosa. The restaurant, which has long, wooden tables, also serves traditional Mexican items and some hybrid dishes that blend different foods from Mexico with those from around the world. The “chiladillas,” for example, combine the body of a quesadilla with the sauce of an enchilada. Although he is a native of Michoacan, Castañeda is a big fan of Oaxacan food and tries to get as many ingredients as he can from that mountainous region south of Mexico City. 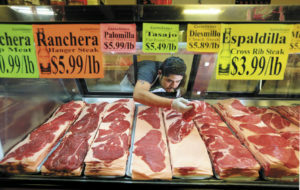 To help people learn how to use unusual Latino ingredients, Castañeda has started giving cooking classes at the marketplace, showcasing everything from the different kinds of dried chiles to unusual cuts of meat, such as pork feet. 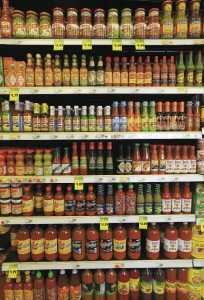 Local Mexican markets now appeal to a wide range of cooks seeking exotic ingredients to spice up their dishes. Meanwhile, Lea Barron-Thomas was picking up lunch at the prepared foods counter at Lola’s, which included cooked beans, chiles rellenos, chicken mole, salsa and tortillas. Butcher Freddy Castañeda fills the meat counter at Castañeda’s Marketplace in Windsor with traditional Mexican cuts of beef. Because it’s so close, chef Liza Hinman of The Spinster Sisters in Santa Rosa often shops at Lola’s for the restaurant kitchen’s needs, but when she’s cooking for her family, the Healdsburg resident stops by the Lola’s store on Healdsburg Avenue, Panaderia Costa Chica across the street or Casa del Mole just north of the Plaza. 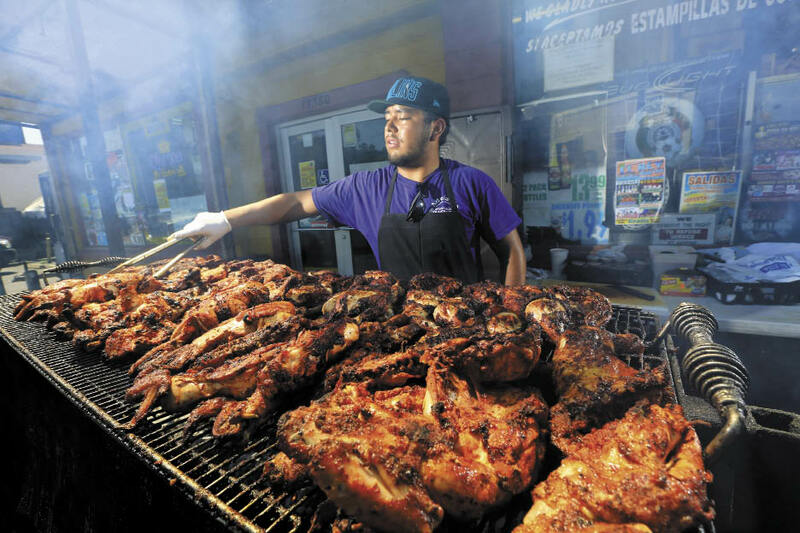 Jose Ojeda grills 400 chickens each weekend at El Brinquito Market & Meat in Sonoma. The unusual items on Hinman’s shopping list include dried hibiscus to make agua fresca fruit drinks for parties, sour limes for cocktails and fresh garbanzo beans in the shell. 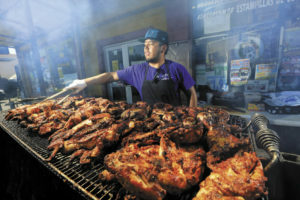 Most of the Hispanic markets also house a taqueria, where hungry folks can sit down for ceviche or pick up a rotisserie chicken with rice, beans and tortillas to go. 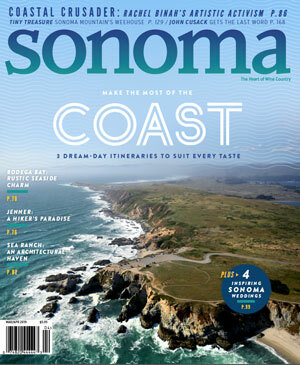 Sonoma resident Bryan Jones, chef at St. Francis Winery in Santa Rosa, likes to stop at El Brinquito Market & Meat in Sonoma, where the intoxicating aroma of grilled chicken wafts across Highway 12 on weekends. 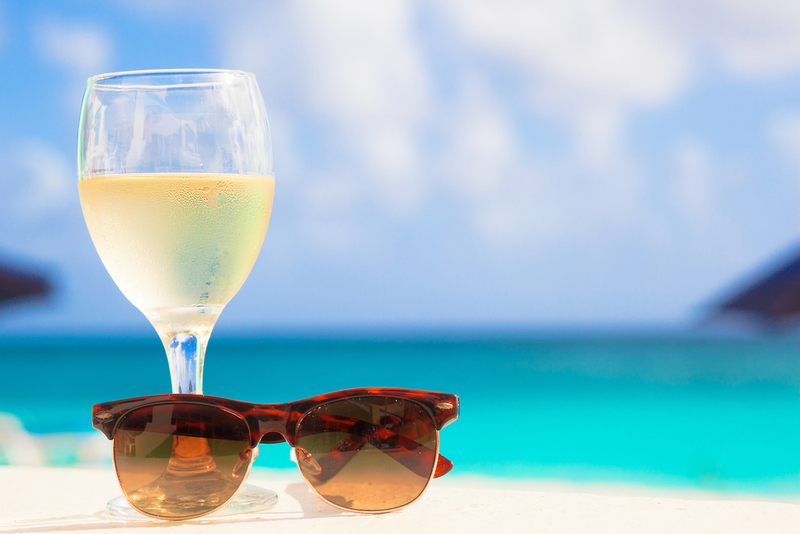 Summer wines to consider drinking should taste great with outdoor activities.